As this band just joined Facebook in November, I really feel that I have come across them at the ground floor. 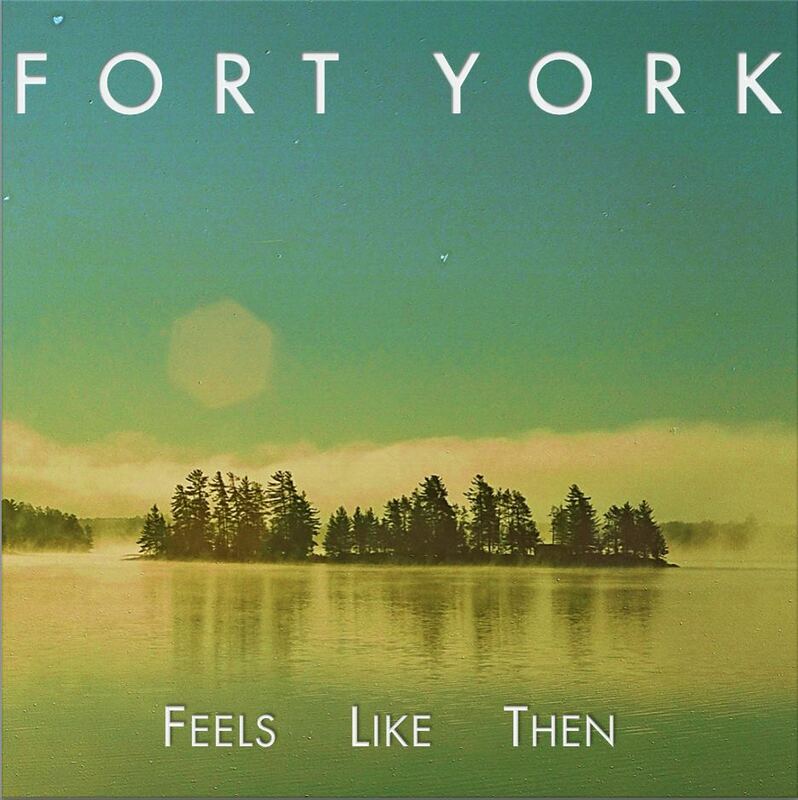 On November 25th, two weeks after the Toronto band joined Facebook, they released their debut album, Feels Like Then. This is where you will find "When She Was Dead". Hopefully it won't be long before they add a tour section to their website. A few years ago, I had the opportunity of seeing Weaver at the Loom perform at the Fine Line in Downtown Minneapolis. They were an opener, with a band playing between them and the 'headliner'. Who was the headliner? For the life of me I can't remember. What I do remember about that night, was being really impressed by WATL, and spending some time talking to it's mastermind, Daniel Smith, and walking out with their 2007 album, I Was Searching and I Found. A great album, but with only 5 songs, it left me wanting more. Well 4 years later, in October of this year, they finally released a second album, Before Now, Was Then. This is where you will find "We're Wild Animals (We Always Were)". Like many unsigned and independent artists, Dan is finding alternate means of funding the costs associated with his passion. Through Kickstarter, his fans are able to contribute any amount of $1, making the dream of a tour and new music a possibility. After writing this, I'll be making my contribution. After all, it is artists like Dan that fuel my passion for listening. I have always admired Radiohead. Obviously the musical talent is there, but I think it awesome that they do what they want. Both with the distribution of their music...after leaving their record label EMI, Radiohead released their 7th studio album, In Rainbows, as a 'name your own price' digital download. ...and musically. Each time they release new material, I never know what to expect. Well this last week, as an early Christmas present, Radiohead released two new songs, that in my opinion encapsulate two ends of their musical spectrum. Both songs are great, but I absolutely love "The Daily Mail". It almost sounds like something that could have come off one of their earlier albums, which are my favorites. Maybe 2001's Amnesiac. This actually makes sense because apparently this is a song that the band had been kicking around for about 6 years. 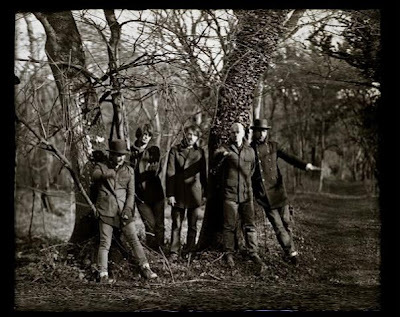 With each passing album, Radiohead seems to move further and further away from mellower songs, creating songs that are full of energy, and at times songs that almost seem like an organized mess. The second song of this release, "Staircase", falls into that category for me. The release of these two songs coincides with the release of The King of Limbs - Live From the Basement, a video of them performing all 8 tracks from this year's album The King of Limbs, as well as these two songs. Love them both, and can't wait to be surprised with what they release next. I have mentioned this before, but I am a huge fan of local artist John Hermanson. You could say that I have an obsession with his main project Storyhill. If you aren't familiar with Storyhill, you can check out my post of them HERE. It is through that obsession that I became aware of Darren Jackson. 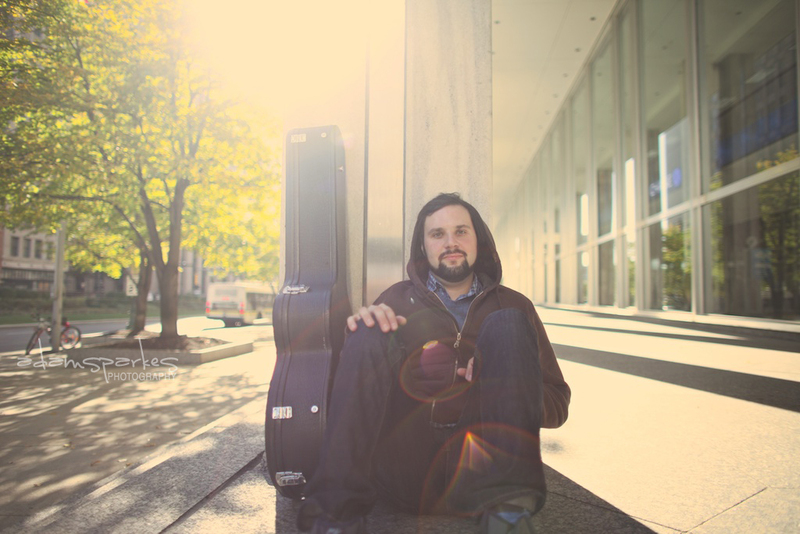 During the last 10 years, John has been involved in various side projects with other local musicians. Two of which are The Hopefuls and Alva Star, which included Darren Jackson. 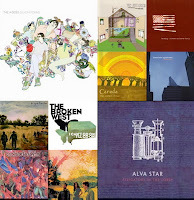 (If you didn't catch it, I included Alva Star on the mix I posted a couple weeks ago HERE). Kid Dakota would be Darren's solo project. He chose Kid Dakota for two reasons: as a parody of Kid Rock's name and as an homage to his home state of South Dakota. He would move to Minneapolis and release his first EP, So Pretty, in 2000. This caught the attention of Alan Sparhawk, founder of the band Low, posted HERE, whom would re-release the album in 2002. 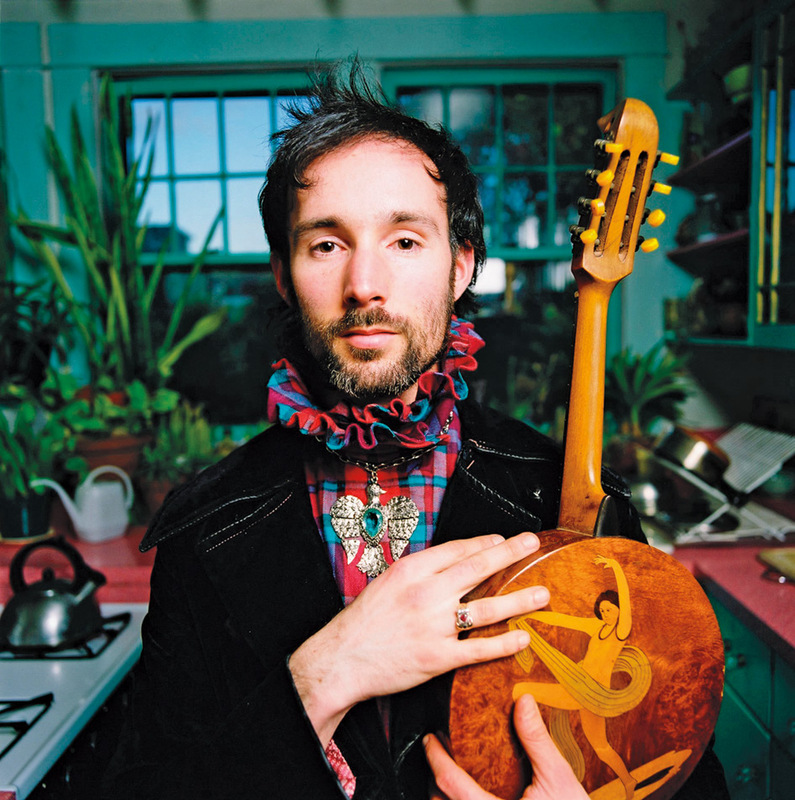 Since then, Kid Dakota has released three additional albums, including Listen To the Crows As They Take Flight, which came out in 2011. That is where you will find "Phantom Pain". I thought I would also post "10,000 Lakes" from his 2nd album, 2004's The West Is the Future, since that was my first Kid Dakota experience. If you like this, I also recommend you check out "Pine Ridge" and "Winterkill" from the same album. ***Solo project from The Wilderness of Manitoba's vocalist. After my previous post of The Wilderness of Manitoba, I started looking into what side projects, if any, their members were a part of. 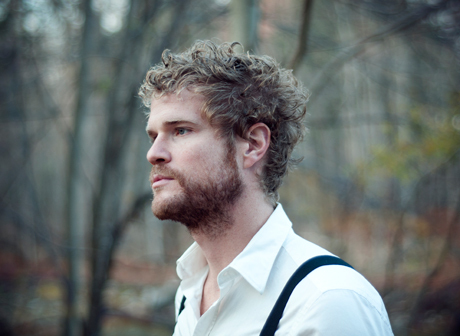 I came across Lake Forest, a solo 'folk' project of lead vocalist Will Whitwham. 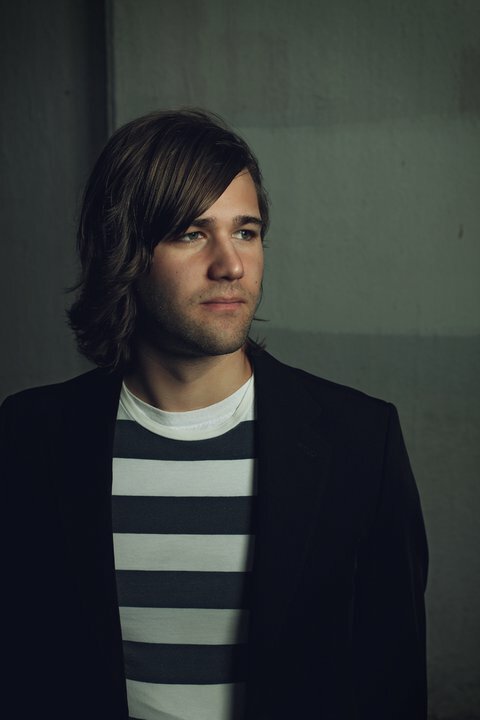 The album came to fruition when last Winter, Will began writing a song a day during his down time. The end result will be the 11 tracks on his first solo album, Silver Skies, scheduled to be released February 14th. Allegedly the inspiration for the album came from a family cottage that he was having recurring dreams of. "Autumn Skies" will be the second track on the new album and can be downloaded through the link to Soundcloud. LAKE FOREST - Silver Stars from Mitch Fillion (southernsouls.ca) on Vimeo. The first thing I came across was actually this video of the title track, "Silver Stars". So good! Unfortunately, this project is so new that I can't find a webpage, or any other page other than Soundcloud. Regardless, another successful find on my 'Family Tree' journey. And another album, I can't wait to add to my collection. ***Just released remakes of 3 Christmas carols. For today's post, I followed a link Stornoway had on their site, taking me to a write up on another blog. The link took me to We Write Lists, based out of London, which is where I found a separate piece they had done in September on The Wilderness of Manitoba. 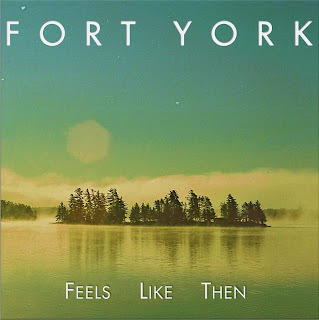 From Toronto, Canada, they released their debut album in May of this year, entitled When You Left the Fire. This is where you will find "November". Using primarily a banjo, cello, mandolin and guitar, they describe themselves as 'chamber folk', which I think is a perfect description. Before writing this post, and after I had listened to some snippets of the songs, I couldn't wait. I have already purchased and downloaded the album. I love it!! They have also just released remakes of three traditional Christmas Carols. "O Come, O Come, Emmanuel", "We Three Kings", and "Hark the Herald Angels Sing". Check out this link HERE, to hear all three. Each of their three versions are absolutely beautiful (especially the a cappella of "We Three Kings"). And the exact same thing can be said for their debut. For today's post, I decided to explore the website of Nallo, whom I posted yesterday. On their site, they have a link to The Mad Mackerel, a blog based out of England, that had done a write up on them. The Mad Mackerel is working on their 'Best of 2011" lists, but at the top of the page, they have links to their 2008, 2009 and 2010 lists. I decided to check out the results for 2010. 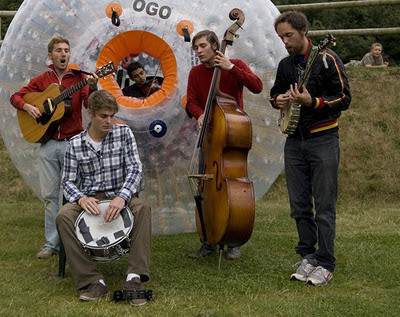 One of the blog's contributors had "Zorbing" by Stornoway as their #1 song of the year. Listening to a handful of their songs, it is almost like The Decemberists (posted HERE and HERE) and Beirut (posted HERE) had a baby. 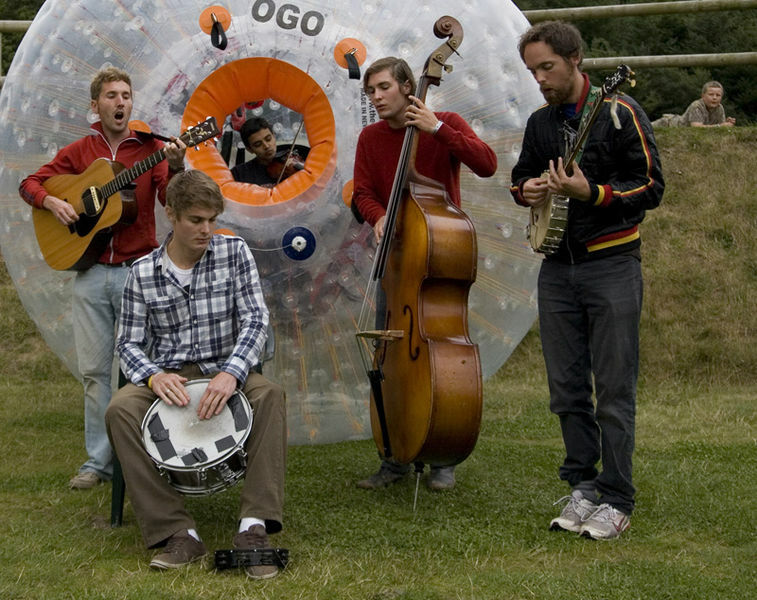 These songs, including "Zorbing", can be found on their 2010 debut album, Beachcomber's Windowsill. I also recommend that you check out "Boats and Trains", as well as the 4 song EP named after 4AD, their independent British record label. Continuing with the 'Family Tree', the first thing I looked at after Matt Latterell's post was at the artists scheduled to play with him this Thursday at the Amsterdam Bar. 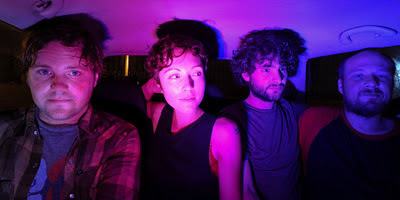 That is how I found, Minneapolis band, Nallo. After listening to "Grownup", I knew I was 3 for 3 so far this week. Both "Grownup" and "Wine" can be found on their Bandcamp site under the album title Tiny Little Kings. What is interesting is that Tiny Little Kings isn't necessarily a finished project. I don't even know if I would call it an album. On their site, they mention that they created Tiny Little Kings as a place to put their b-sides and demos that "won't end up on the final full-length release." So far "Grownup" and "Wine" are the only two that have been posted, but it sounds like more are on the way. With as much as I like these b-sides, I'm excited to hear the finished album. As I laid out yesterday, this week I will be doing 6 posts in a row using my 'Family Tree' approach. What prompted this was that it was the method I was using when I came across Brad Senne, whom I posted HERE 2 days ago. I decided to start with Brad's 'Likes' on Facebook. The first thing I noticed is that we shared a common interest in many of the same artists. Always a good sign that I would be able to find something good...and possibly great. The second thing I noticed, him being a Minnesotan himself, is that many of his 'Likes' were of musicians local to Minnesota. Well, I found something local and something great in Matt Latterell. Based out of Northeast Minneapolis, Matt began writing music at the age of 14 in Foley, Minnesota. 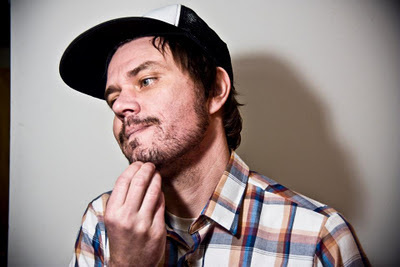 After releasing a few albums with his band Hokey, he started his solo career with a few EPs and a full length album called Charades, which was released in 2010. At the beginning of 2011, he decided to do something different, by releasing a single a month. However, after being laid off in May, he decided to change his focus and start working on an album. This change in focus would lead to the release of Life On Land in October of this year, which is where you will find "Momentum". 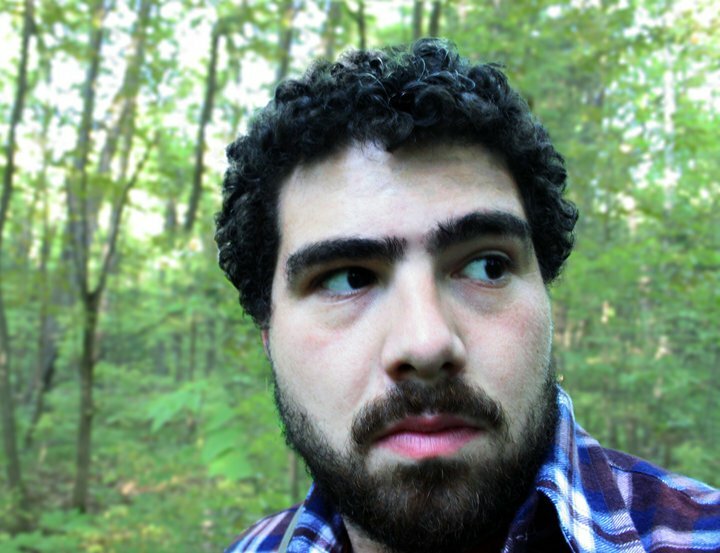 Life on Land can be purchased on iTunes, where as his debut full length, Charades, can be found on his Bandcamp page. SoundCloud is where you will find the singles he released, including "The Kids Are All Adults", which was the first of his singles project. Of course, being a local artist means a great opportunity for all of us to check him out. I have added him to the concert calendar for his December 22nd show at Amsterdam Bar in Minneapolis. Click HERE for the details. Earlier this year, I did a post on Holcombe Waller, which you can check out HERE. At that time in May I had just heard of him, and unfortunately, the evening he was in town at the Aster Cafe, I arrived just as he was finishing his set. Even though I missed his performance, I took a chance and picked up his new release of Into the Dark Unknown. 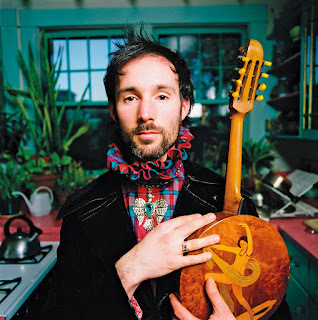 I am posting him again because over the last few months, I am realizing what an amazing album it is. I am obsessed with the title track, and find myself going back to it over and over again. It has slowly risen the ranks within my list of favorite songs of 2011. I like it so much, I thought I would post two live versions as well. Unfortunately, the second one won't allow me to embed it, so instead, click HERE to see it on Youtube. This is an album I highly recommend, and while your at it, check out his previous albums, of which the last couple can be found on iTunes and his Bandcamp page. ***Playing at 7th Street Entry tonight. I've said it before, and I'm saying it again. Today, I received an email from a friend, which included a link to this song on Youtube. I recognized the name, and knew they were coming to town soon, and had been meaning to check them out. Well of course they were playing tonight. Based out of Detroit, Michigan, IAmDynamite's first single was released a couple of weeks ago. 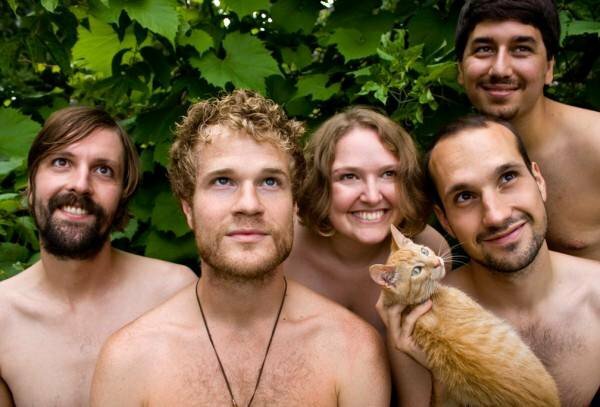 Their debut album, Super Mega Fantastic, will follow...but not until March 13th. In the meantime, they are offering a free download of their song "Hi-Lo", via their website. Also, if you check out Youtube, it looks like the rest of the songs from their album are posted as well. A lot of energy in this music, it definitely would have been worth the $5 admission. I bet the floors of the 7th Street Entry are shaking right now. Sometime in the middle of this year, there was a comment posted on my blog. Not a big deal, as I do get comments from time to time, but up until that point, it was from people I already knew. The comment was posted in response to my mission statement, which can be found under, "Why should I date your music? What does that mean?" His response?..."Wow. I love this idea. You've got me hooked on your thoughts." Trust me, I do not quote him to try and convey that I believe my thoughts hold any importance whatsoever. That is further from the truth, because as I've said before, this blog isn't about my thoughts, it's about sharing music with others and letting them decide for themselves. Instead, I am rewriting his post because he could have said so much more...which I'll explain in a moment. I was so excited!!! First of all, very kind words, but also, who the heck was this? All it showed was that his name was Alexander. With a little detective work, I ended up on a Youtube channel, under the name Greater Alexander. What I found was a bearded guy playing cover songs of Bon Iver and Jose Gonzalez, two artists I love. After listening to the videos, I was very impressed, but came to the conclusion that he himself was a fan of music, and loved it as much as I did. When I said a moment ago that he could have said so much more? Alexander Vlachos failed to mention that he is making music himself, with his first single, "Any Way Out of It", having been released in November of this year. I love this song, and am really excited to hear what comes next. 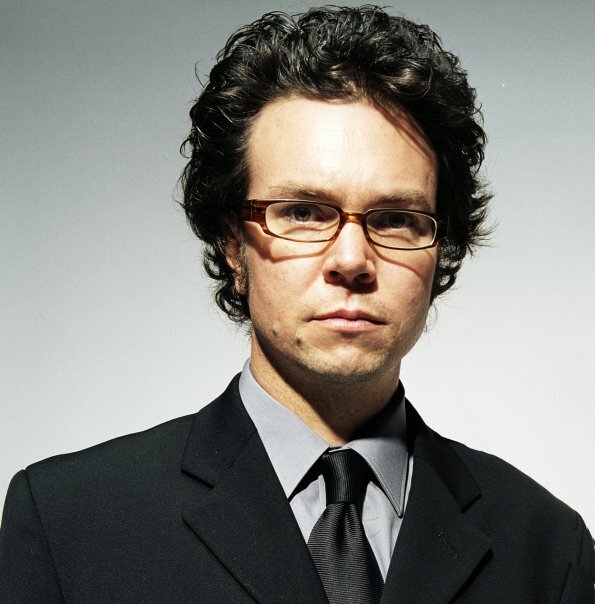 Similar to some of the artists he covers and one of his influences, Nick Drake, there is a shyness to his music. If I hadn't seen his Youtube videos, I would almost picture him on stage in a hoodie, with the hood pulled up hiding most of his face, softly saying "thank you" to the quiet applause after each song. Adam did a photo session with Alexander, also shooting the above video. In his write up, he mentions that Alexander is quite the character, and is one of the best listeners he knows. You can check out the write up and additional photos HERE. I thought I would also post his cover of "Heartbeats". This song was originally done by The Knife, an electro-pop duo from Sweden and ultimately 'made famous' by fellow Swede Jose Gonzalez, using an acoustic guitar. I'll be doing a more detailed write up, and will add to my "Unknown. Unsigned. Unbelievable." section, which will include a Q&A that is still in the works. In my recent correspondence with Alexander he uses one word multiple times when talking about his relationship with music. Passion. Although I don't create music, I understand what he means when he puts the words passion and music together. Another artist that needs and deserves our support. Please check out his Bandcamp page, and although it says 'name your price', this is a good opportunity to offer encouragement to Alexander. Any money he receives from this single, gets him one step closer to finishing his next song....or his first album. Wouldn't you want to be a part of that? I know I do! One cool thing about this blog, is that it has connected me with people from all over the world. People that I know share a common love for music. This is how I came across Mike. Mike lives in Ontario, Canada, and through a handful of tweets, it looked like he was a Green Bay Packer fan. So I did what any self-respecting Vikings fan would do (assuming there are any left), and I placed a wager with him on the November 14th Vikings/Packers game. To be honest, I wasn't going into this game hopeful that the Vikings stood a chance. Instead, I went in just for the fun of it. I tend to enjoy gambling. However, once Mike threw out the stakes, I knew that win or lose, I would win. The wager was this...the loser would create what Mike deemed as an 'awesome playlist' or an 'ultimate playlist.' I loved the idea and agreed immediately. I love making playlists! 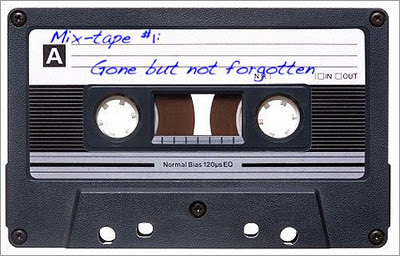 Truly, that's what this blog is, one long mix tape. I also love being on the receiving end, always hopeful to find new music. But what is an 'awesome' or 'ultimate' mix? - Is it my favorite songs of all time? - My favorite songs from this year? - Bands that I think Mike would like? - Bands that I have already posted? - Bands I plan on posting? I have always taken my mix making seriously, and I never want to just throw a bunch of songs together. 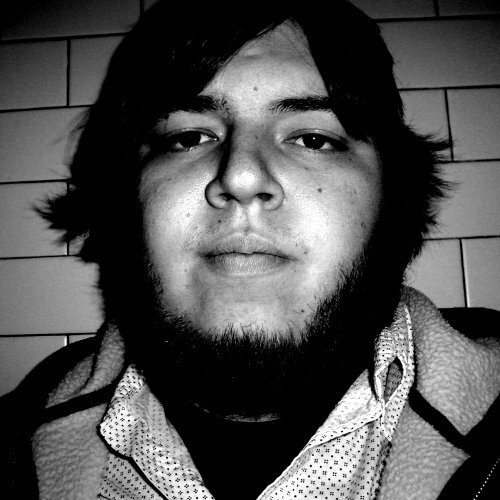 My goal here was to create a mix of songs that I love, but of bands that Mike, and more than likely many of you, hadn't experienced before and that wouldn't normally make it onto this blog. Since the blog revolves primarily around artists that are actively touring or actively making music, it tends to ignore the countless bands that aren't together any longer. The ones that, if I didn't post, you might never hear of. 10 songs by 10 artists that I'm hoping some day will give it another go. As you can tell, I went through my music collection alphabetically. The A-Sides - "Sinking With the Ship"
Alva Star - "Unhappily Yours"
Backyard Tire Fire - "A Long Time"
Basement Apartment - "Aging Bird"
Birddog - "Singapore Creek Seduction"
The Broken West - "So It Goes"
Canada - "The King's Ashes"
Echobrain - "Knock 'Em Out"
In the end, the Vikings lost 45-7, and I found out Mike is really a Bills fan. Either way, I think I came out on the winning end of this bet. Hope you like the mix Mike. I wouldn't put it in the category of 'Ultimate', but I definitely think it is 'Awesome'. There will be more mixes coming in the months ahead. Anyone else want to make any wagers?? 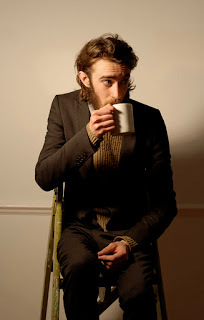 In my continued search of new music, I came across Keaton Henson the other day. From England, he has released one album and two singles. Unfortunate for us, the only thing we have access to here in the States, up until now, are the two singles. It seems I have come across this a lot lately, seeing similar situations with Daniel & the Lion (posted HERE) and Dry the River (posted HERE). I was captivated from the second I played the above video for "Straw Bear". Partly because of the setting. Partly because of the 37 seconds of silence to start it off. But mostly because I heard his voice. Thankfully, this is one of the singles we have access to in America. As an added bonus, he had a handful of other videos on his Vimeo page, six of them being additional songs, and all six amazing! Check them out HERE. Each of these songs, with the exception of "Straw Bear" can be found his debut release, Dear..., which is being re-released this next year. I'm not too sure what to expect once that happens as the 23 year old has what he calls an "over active fear gland", which has caused him to shy away from doing live performances. As I continue to read about Keaton and watch his videos, it is so hard to narrow down which ones to post. If you visit his webpage, you have the option of watching the above video or to enter the site. I'm not sure which song this is, or where it is from, other than this video is part of a 25 day project of film maker David Wilson. One short film a day, done in collaboration with musical artists using new or unreleased material, over the 2011 Advent. The video is very fitting as Keaton wrote most of his material in his bedroom following a traumatic break-up. Let's hope that with the re-release, we see his music become readily available in America, and that he figures out a way to suppress the fear of performing. Waking up Wednesday morning, I was excited for what the day held. Not only was I going to be at First Avenue watching one of my favorites, As I Lay Dying, but I was also going to be able to enter the venue early and watch the soundcheck, complete with a meet and greet and photos. An awesome experience, and something I will never forget. However it was the rest of the evening that ended up making it, what I would consider, 'special'. After the soundcheck, I walked next door to The Depot, which is my customary, pre concert stop, to have a beer and their Breakfast Burger. Not just 'a' breakfast burger...THEIR Breakfast Burger. I am not exaggerating when I say it is the best burger I have ever had! During this break, I struck up a conversation with a guy sitting a couple seats over. There was something different about this guy. I felt like I knew him, but wasn't completely sure, so I kept it to myself. We talked about the fact that P.O.S., whom I posted HERE and HERE, was playing a sold out show next door at the 7th Street Entry that same night, and that he probably wouldn't go on until 11pm. Since my show was all ages and would finish around 10pm, I instantly started thinking about how I was going to get in. After we said goodbye, I would find out from the waitress that I had been talking to Sims from Doomtree, which made sense as P.O.S. 's show was part of the weeklong Doomtree Blowout. (Doomtree being the hip hop collective of which both P.O.S. and Sims are a part). Check out my Doomtree post HERE. Ultimately, I would end up getting in because of my recent purchase of a First Avenue membership. Not only does this membership allow me free entrance to any 7th Street Entry show, it also gets me in if it is sold out (assuming it wouldn't break fire code). If this scenario is indicative of what I can expect with my membership going forward, I definitely think the membership is worth it. I have seen a number of shows at 7th Street Entry, but by far, I have never seen it this full. With wall to wall people, Stefan Alexander (P.O.S.) took the stage. At one point, he was pumping his arm up and down, with the entire crowd mimicking him. It was like watching something straight out of the movie 8 Mile. Astronautalis even stopped by to perform help him with a song from their upcoming project, Four Fists. The reason for this post was the opening band, Polica. Lately, I have been seeing posters at First Avenue and the Electric Fetus advertising their CD release show coming up this February 14th for their new album, Give You the Ghost. Both "Wandering Star" and "Lay Your Cards Out" will be found on this release. I have been meaning to check them out. Little did I know that I would be doing so at a live show. Like a lot of local bands, it seems they play around town on a regular basis. In fact, they are playing tonight at the Turf Club. I'll be adding them to the concert calendar as I see shows added to their schedule. I really think this band could be going places, and I'm hoping I get a chance to see them at a venue like the 7th Street again. If you get the chance, I suggest you do too. Earlier this year, I posted about Jake Smith. Chances are you just said to yourself, "Who?" There is absolutely nothing wrong with a name like Jake Smith. In fact, I'm sure it has served him well over the years. Similar to how I know Henry John Deutschendorf as John Denver and Georgios Panayiotou as George Michael, I know Jake Smith as The White Buffalo. You can check out my previous post of him HERE. Year to date, this is one of the finds that I am most excited about. So I was absolutely pumped to see a new EP called Lost and Found, released on Tuesday. 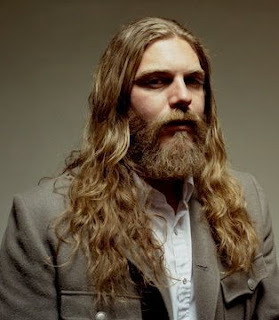 The Living Room Sessions | The White Buffalo from Pastime Productions on Vimeo. Five more great songs to add to my library including "Darkside of Town". I can't get over how much I love his voice. I could listen to this song over and over, especially this live version. This is one of those songs/videos where I can't fathom how someone couldn't fall in love with it right away. But as I've learned in the past, my tastes at times can be unique. Disagreement on an artist or a song is still bound to happen, and could possibly happen with this one too. In the discography section of his website he has a photo of his upcoming album entitled, Once Upon a Time In the West, with the words 'Coming Soon' written underneath. I am so hopeful that he makes it back through town in support of the new album. There was a time when I was able to listen to Mumford & Sons and knew that very few people knew who they were. We have all been there before with a band or an artist. I know I have experienced that feeling numerous times. My secret band. My special find. As much as I want to see that artist succeed, and as much as I do my best to spread the word to others...I also dread the day where I would actually hear them on the radio. From the first second I played Sigh No More, I couldn't stop listening to it. I told everyone I knew. I probably purchased 20 of the CDs giving them out as birthday and Christmas gifts. Then it happened. They became 'popular'. Don't get me wrong. I am excited for them, and I am excited for those that are discovering Mumford for the first time. But part of me reminisces about the days when they were mine and it was for me to introduce to the world. Thankfully, there is, and always will be, that next Mumford & Sons. Bands that need my help...our help...to spread the word. This last week I came across one of those bands. Daniel & the Lion. I actually hear some similarities to Mumford & Sons. However, where as Mumford & Sons are from Britain and sound like they could be from Ireland, Daniel & the Lion sound Irish and actually ARE from Ireland. 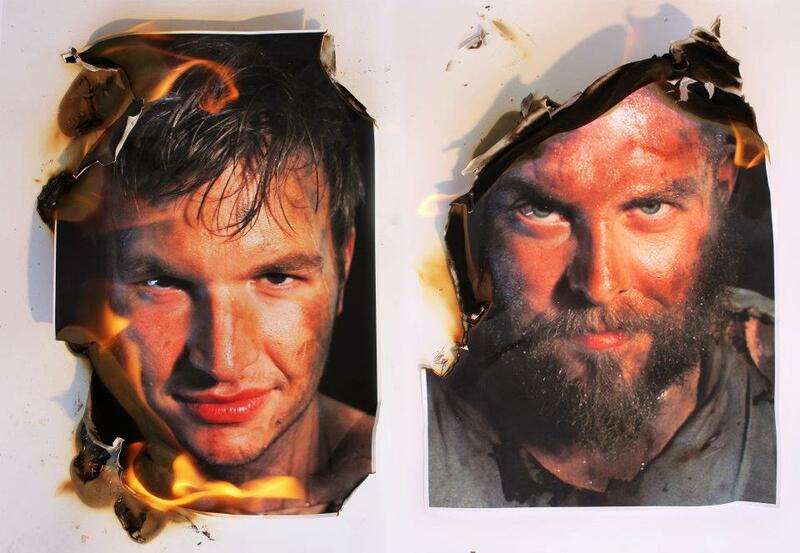 Both "Need Love" and "Falling Down" can be found on their debut EP, This Is Me Is That You?. It's a little frustrating as I can't find their album on iTunes or Amazon. It looks like the best bet is to download it from Bandcamp, so I have included that link below. 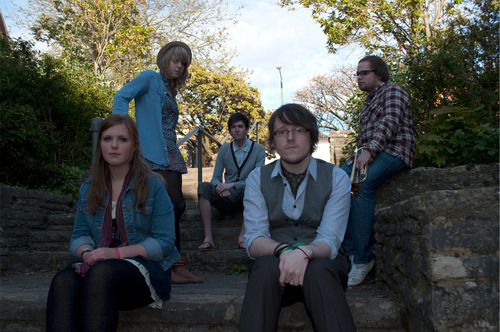 Since their 2010 debut, they have released a live EP as well as 5 singles, including the most recent, "Branches & Leaves". Each of these singles can be downloaded for free through their Bandcamp site. I'm hoping we will see more from this band in the near future, and I look forward to my disappointment when they end up on the radio. Before shows, I typically make an effort to do some research on the opening acts. Sometimes, if I know a little bit about them before going in, it helps me feel a little more connected. Well, with things being so hectic lately, I realized on the way to see Beirut on Friday night, I hadn't done this yet. 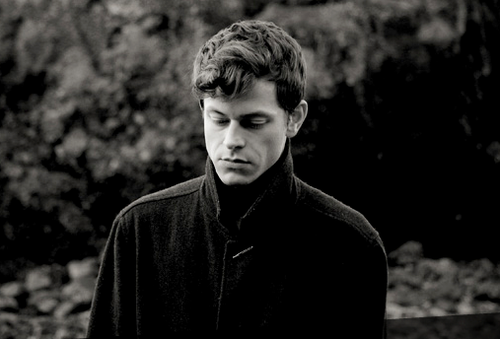 Even though he is only in his 20’s, the story to date of one Mike Hadreas, aka Perfume Genius, has the peculiar twists and turns of a person who has lived through at least several lifetimes, and has seen rather more darkness than most. Based on the name, I could have assumed he was very intelligent, and that he carried a delightful odor, but musically I had no idea what to expect. Being very familiar with Beirut (whom I posted HERE), I knew there wasn't a chance he would sound anything like them. I was very pleasantly surprised, and walked out with his first and only release, 2010's Learning. Very quiet, very stripped down and having a lo-fi quality, at times it was very difficult to hear over the voices of the hundreds already in attendance, vying for their desired spot. As is true with most shows, the crowd was there for Beirut. Most of them probably had the attitude of 'Who cares?' when it came to Perfume Genius' performance. Thankfully, I had a spot fairly close, and was able to hear enough to make me a fan. Since getting home, I have been able to look into him more and his lyrics do tend to be on the darker side. Looking back, it makes me appreciate the performance that much more. It was completely obvious how personal the songs were for him, and how gut-wrenching they probably are to sing. Just two months ago, Thrice release their 8th studio album since forming in 1998. Unfortunately, less than 3 months later and less than two weeks ago, they posted an announcement on their website, that would change my perception of the path they were on. 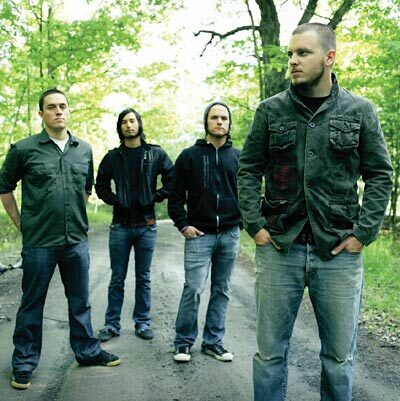 "Thrice is not breaking up. If nothing has broken us up by now, I doubt anything ever could. However, we will be taking a break from being a full-time band, and the upcoming tour in the Spring will be the last one for the foreseeable future." Click HERE for the entire announcement. With each passing year, it seems that my life gets busier and busier. Kids, work, family and Friends, hobbies...there are times when things need to get cut out. On top of everything else, I can't imagine adding creating music and touring the country to my list of to-do's. Founded by high school friends, front man Dustin Kensrue and guitarist Teppei Teranishi, they would pull in two outside friends and give themselves the name Thrice, after an inside joke between the four members. Aside from the previous 7 albums, and this year's, Major/Minor, where you will find "Promises", Dustin, would also release two solo albums. The second of these, This Good Night Is Still Everywhere", a Christmas album. If you are like most everyone else, and have already started playing Christmas music on a regular basis, but want to change it up a bit, I highly recommend this album. It always bums me out when we lose a great band, even if it is 'temporarily'. You just never know if and when they will rise again. To make things worse, they won't be stopping through Minnesota on this 'final' tour. As much as I respect Dustin's decision, let's hope it isn't too long before he shares more of his creations with us.